Provide comfort for the family of David Halterman with a meaningful gesture of sympathy. David Halterman, 58, of Grayson, passed away Thursday, March 14, 2019 at the Community Hospice Center in Ashland. He was born September 13, 1960 in Grayson a son of the late Philip Hans and Helen Ison Halterman. A memorial service will be Thursday, March 21, 2019 at 1:00 p.m. at the New Beginnings Assembly of God in Grayson, Kyle Burchett and Roger Nolty officiating. To send flowers in memory of David Halterman, please visit our Heartfelt Sympathies Store. We encourage you to share your most beloved memories of David Halterman here, so that the family and other loved ones can always see it. You can upload cherished photographs, or share your favorite stories, and can even comment on those shared by others. 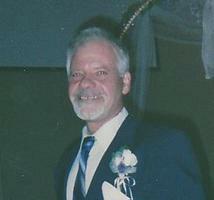 Provide comfort for the family of David Halterman by sending flowers. "Imagine a time when "No one will say 'I am sick. '"(Isaiah 33:24) A time when "Death will be no more. "(Revelation 21:4) A time when we will have "everlasting life," on a paradise earth. (John 3:16) God promises that all this is possible in the near future. God "cannot lie," so we know he will fulfill these promises. (Titus 1:2) This gives you the hope of seeing your loved one again. My condolences." I grew up with David until I was 15 or so and then lost touch when I moved away. David was one of the most colorful people I have ever met. He was a big part of our childhood group. I could count on him to take up for me if needed and most importantly to me he laughed at my jokes. Yes he was very ornery but we all are in some way or another. He is one character I have spoke about from time to time and I never will forget him. May you rest in peace and I'll see ya when I get there!